Identify appropriate occupational groups, series, and pay scale based upon your experience and background. Interpret the confusing details of the duties/qualifications sections so you can determine if you’re even qualified. 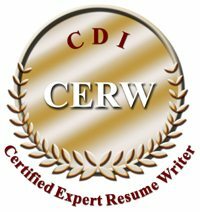 Identify essential key words for the USA jobs resume. Federal résumé development using the USA Jobs template. Gain a better understanding of the differences between the online questionnaire, Technical Core Qualifications (TCQs), Knowledge Skills, and Abilities, (KSAs) and the federal rating/ranking system.